A comprehensive summary of the Spring Statement 2018.Yesterday, the Chancellor of the Exchequer, Philip Hammond, made his 2018 Spring Statement. However, this year’s shortened event focused on giving an update on the overall health of the economy and avoided making any major announcements largely due to re-organisation of tax management in the UK and pressure from larger corporations who are strained at having to undergo major planning preparation in line with two annual budgets, unlike any other country. 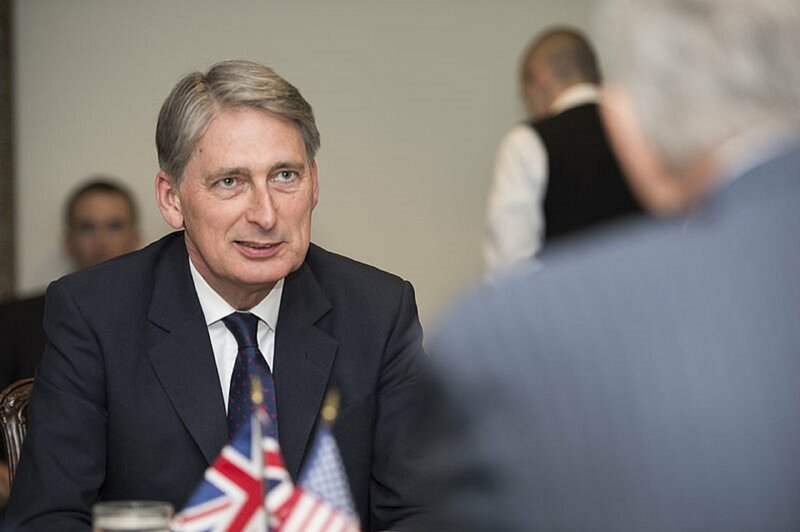 The Chancellor did respond to the Office for Budget Responsibility and commented on progress made since the Autumn Budget 2018 but addressed several other economic points too. The Chancellor announced that the UK economy has continued to grow for the fifth consecutive year, actually exceeding expectations laid out in the Autumn Budget last November. The Office for Budget Responsibility (OBR) increased their forecast for growth this year to 1.4%, which is 0.1% higher than last year’s forecast. Employment has also increased with figures growing by three million since 2010. Unemployment rates are close to reaching a 40-year low and the OBR have predicted that there will be over 500,000 more people in work by 2022. They also forecast a fall in inflation over the next twelve months, with wages rising faster than prices over the next five years. The Chancellor commented on public finance, announcing that both borrowing and debt are down. Borrowing has fallen by 75% since 2010. As a comparison, figures show that in 2009-10 the UK was borrowing £1 for every £4 that was spent, but the OBR have predicted that this will change to £1 in every £18 spent this year. Debt is expected to start falling as a share of GDP next year. However, the UK’s debt still remains high, currently equalling the equivalent of around £65,000 per household. Of course, this does make the economy vulnerable and imposes a significant burden on future generations, therefore the Chancellor has suggested a balanced approach is in order to ensure debt falls whilst still funding vital public services, keeping taxes low and investing in the UK’s future. In the Autumn Budget Mr Hammond explained that £3 billion was to be put aside to prepare for Brexit in 2018-19. Yesterday he announced that over £1.5 billion has already been allocated to departments and devolved administrations. The November statement also announced a 5-year investment programme to tackle the UK’s housing challenge and aimed to raise the supply of homes by an average of 300,000 a year by the mid-2020s. The Spring Statement confirmed this plan’s success and that the government is now working with 44 areas on their bids to help build the homes that the country needs. Moreover, London is to receive £1.67 billion to start building a further 27,000 affordable homes by 2021-22. The Chancellor also commented on the benefits of stamp duty being abolished for first-time buyers of homes under £300,000 and stated that buyers of properties up to £500,000 have seen results from the change with 60,000 first-time buyers having benefitted so far. The Statement touched upon helping households with the cost of living and in April 2018 the National Living Wage will rise to £7.83, which results in approximately £688 per annum extra a year for a full-time worker over 25. National minimum wage rates for workers under the age of 25 and apprentices will also rise with one million people expected to benefit. The tax-free personal allowance will also increase, going up to £11,850 from April 2018. The Chancellor discussed not only financial matters but also wider economic forces. The Statement mentioned the importance of supporting people to get the skills they need for success. Improving people’s skills benefits both the individual and wider economy, therefore the government is hoping to extend the current tax relief to support self-employed people and employees when they fund their own training. Plastic waste is extremely damaging to the environment and the government has expressed their determination to take further action and is seeking views on how best to use the tax system to encourage responsibility. Money raised from tax changes will be used to encourage new, greener businesses and fund research to reduce the impact of single-use plastic waste on the environment. In the Autumn Budget it was announced that £1.7 billion was to be invested into improving transport in English cities. Half this amount was allocated to Combined Authorities with mayors, and the government is now inviting bids from cities across England for the remaining £840 million. The first wave of funding has been allocated to roll out full-fibre connectivity to local areas in order to provide the fastest, most reliable broadband to more homes and businesses. As part of the £190 million Challenge Fund launched in the Autumn Budget, over £95 million is now being provided to over 13 areas across the UK. Digital technology is continuing to change the way people sell, shop and save money, and whilst cash will continue to be an important method, many people are moving towards digital payments. The government is therefore seeking views on what more it can do to support people and businesses who use digital payments whilst ensuring people who need to are able to pay with cash and prevent the use of cash to evade tax and money laundering. If you would like to know more about the Spring Statement and what it means for you or how you can benefit from any of the initiatives we have mentioned in this article then please contact your local branch of Cottons Chartered Accountants. We have qualified accountants and tax advisors in London, Daventry, Rugby and Northampton.